Ouray is a town with so many aspects rich with history. The name of the town is no exception. What began our little mountain town? Where did it get its unique name? Those here in Ouray have heard almost every incorrect pronunciation of our town’s name, ranging from “oo-ray”, to “oh-ray”, to “ow-ray”. In reality, our little town is pronounce “you-ray”. The word is not just the name of our mountain town, but also of a man who had a huge impact on the history of this whole area. 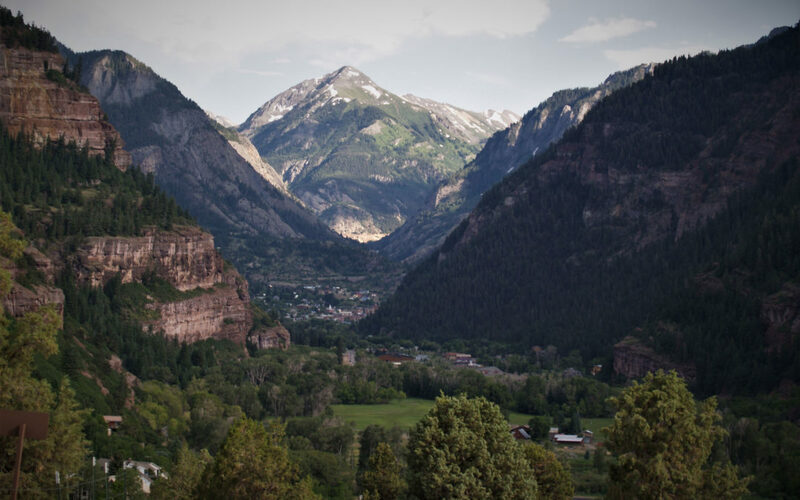 Originally, Ouray was called Uncompahgre, a Ute word meaning “hot water springs”. Spaniards and miners came through the area all throughout the 17 and 1800’s. As the site became more popular with the white settlers, the town of Uncompahgre needed to work towards achieving peace between the settlers and natives. After becoming chief at age 35, Chief Ouray of the Ute tribe did just that. If you’d like to learn more about the town’s history, there are various museums in the area that can help! Local museums like the Ute Indian Museum is a great resource for anyone curious about Ouray’s history. The Chief’s main goal was to bring peace between the United States government and his tribe. By the time he came to the town once known as Uncompahgre, he already knew how to speak Spanish, Ute, Apache, and some English. He was known to meet with both native and white officials in the town. Due to his intelligence and diplomacy, he was a man who commanded a high level of respect from not just the Ute Nation, but also the United States government and other Native American nations all across North America. Despite his level of respect among many people and nations, what the white settlers really wanted was gold, silver, and land. Despite all the treaty efforts, the Utes were losing their land. By the time Chief Ouray died in 1880, the San Juan Mountains were no longer theirs. However, due to Chief Ouray’s amazing achievements, the town was renamed after him in in 1876. If you’re interested in learning more about our history, the Ouray Chalet Inn is the perfect place to come stay as you explore the multitude of museums in the area! Visit our website at https://ouraychaletinn.com/ to book a room.